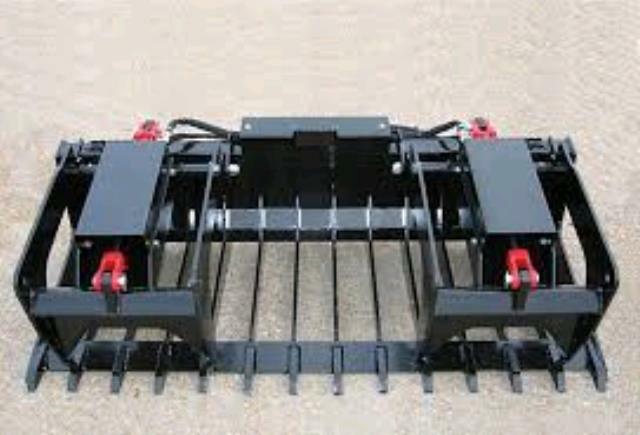 Attachments designed for skid steers, the LPTG series tine grapple easily moves rocks, brush, wood, metal and other materials while leaving the dirt on the ground. The tine grapples are ideal for various applications including construction site demolition and clean-up, storm clean-up, and landscaping. Tine grapples features include 5- " tine spacing, 3,000 psi cylinders with cylinder guards to protect the cylinders and components. Hoses are equipped with "connect under pressure" flat-faced couplers. * Please call us with any questions about our grapple attachment skidsteer rentals in Duluth MN and Superior WI, serving Proctor MN, Hermantown MN, Northern Minnesota and Northern Wisconsin.